LOCAL festival. LOCAL vendors. LOCAL music. LOCAL life. From I-95 turn east on J. Turner Butler Blvd. The festival site is downtown on the oceanfront. Get your VIP pass before they’re gone! Get your 2019 VIP Season Pass for all FOUR festivals! Named by “Downbeat Magazine” as one of the top 50 Music Festivals in the World! Florida’s Largest Free Outdoor Blues Festival – The Atlantic Ocean forms the background for this internationally recognized musical celebration and the smokin’ aroma of barbecue tops off the flavor of the 29th Annual Springing the Blues Music Festival. This free music event celebrates America’s indigenous music form with three days of blues performers from all over the U.S. Families can enjoy arts and crafts, kids’ games and rides, the South’s best barbecue, Florida seafood and a 5k Beach Run and Walk. 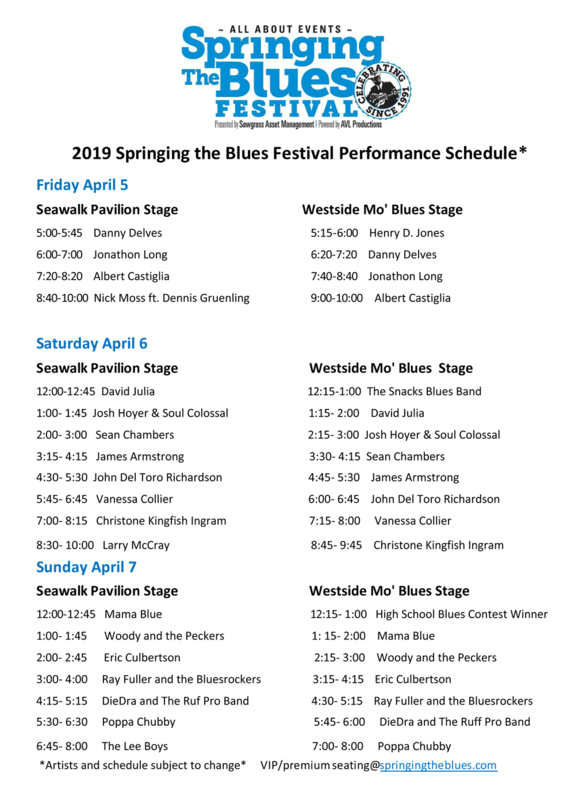 Visit our website at www.springingtheblues.com. The only oceanfront seafood festival in the Southeast! The Great Atlantic Music Festival kicks off the beginning of beautiful beach weather every spring at the Seawalk Pavilion in Jacksonville Beach. The free festival offers the best in live music, fresh seafood, a festival marketplace and rides and games for the entire family. 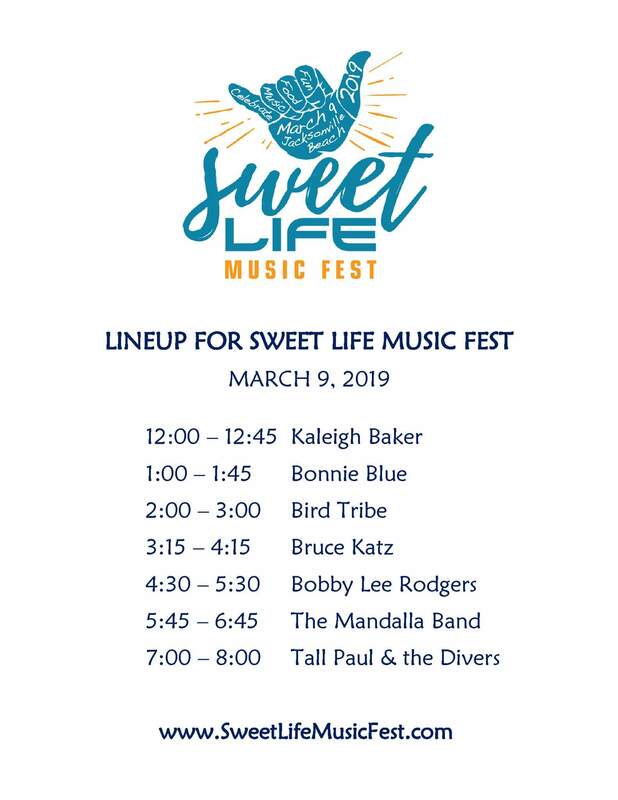 Live music from around the region begins at noon and continues until 10pm with a sampling of many different genres of music – blues, funk, soul, reggae, rock and more! Join us for a day of live music, great food and fun! Visit us at www.greatatlanticmusicfest.com for more information! For vendor, sponsor and talent showcase opportunities, contact us today! Reserve your VIP Season Pass for all FOUR festivals now!